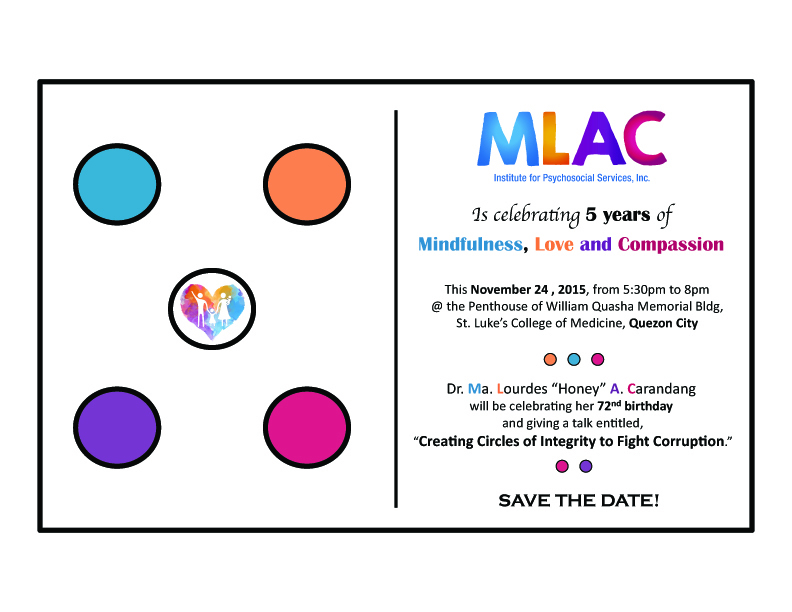 You are invited to MLAC Institute’s 5th Anniversary on November 24, 2015! It’s a free event po. No need to pre-register. You just have to go there 🙂 thanks and see you then! please count me in. thanks po!